Australia appears to be making progress at last under Ewen McKenzie and there are good grounds for thinking that the battle-hardened Wallabies are overpriced to beat England at Twickenham for the fourth time in their last five visits. 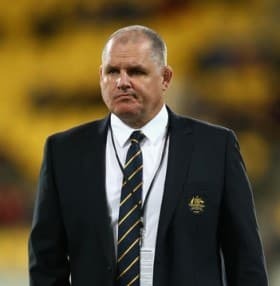 McKenzie is making no secret of how he thinks that Australia can target what he describes as an undergone England team that has not played at full strength since choking in the Six Nations Championship finale against Wales in Cardiff. Australia has travelled to the northern hemisphere on the back of its top two performances since McKenzie succeeded Robbie Deans as Wallabies coach. Australia surprised pretty much everyone by thrashing Argentina 54-17 in Rosario and, while New Zealand did not ever look like failing to register its 30th consecutive home victory, the Wallabies made their presence felt in going down 33-41 in Dunedin. Australia’s improvement has coincided with Quade Cooper’s return to form, with even the most one-eyed New Zealand supporter acknowledging that he played well against the All Blacks. Cooper is a confidence player and it would appear that he has regained belief under his former Reds mentor, McKenzie. That spells trouble for England, which will face Australia with a new-look midfield that has neither the familiarity nor the fortitude of its predecessor. In Cooper and Matt Toomua, Australia has two playmakers outside Will Genia who have the ability to take advantage of any mistakes that England makes away from the ruck. Australia looks capable of inflicting more damage on England than vice versa, with the home team struggling to score many tries against sides from the top tier. For all of its recent woes, Australia still rates as one of the best three or four teams in the world. Australia lost its three-match series versus the British and Irish Lions this year by two games to one but it would be wrong to think that just because the Wallabies went down to the Lions that they are going to lose to England. Only one England player started the third and final match at Sydney’s ANZ Stadium and that man, Geoff Parling, has been ruled out of Saturday 2 November 2013’s game at Twickenham in London. Interestingly, the game in which Australia beat the British and Irish Lions was the one in which the highest number of England players started – the Second Test at Etihad Stadium in Melbourne in which four Englishmen began the match. In theory, the recently introduced scrum laws should favour England over Australia but the English have no experience of them in an actual game, whereas the Australians have dealt with them throughout this year’s Rugby Championship and Bledisloe Cup matches. Moreover, England’s best scrummager, Alex Corbisiero, is another absentee so Australia will not have to worry about handling him in the front-row fight. Australia has a pretty good record in the first game of its northern hemisphere tours at this time of year, not least because, generally, it comes up against sides that are playing their first game in a long while. Australia has triumphed in four of its last five northern hemisphere tour openers, including defeating England 18-9 in 2009. Bookmakers have installed England as the favourite to win what is known as the Cook Cup, named after the English explorer who discovered Australia, but the value lies in supporting the Wallabies at odds of 2.62 with Bet365. One could reasonably save one’s Australia win wager by backing England to win by one to 10 points, an option that is trading at odds of 2.75 with Ladbrokes. Effectively, that reduces one’s odds about Australia winning to 1.67, albeit with a stake saver. To punt in this manner, bet 36.36 units on England winning by 1 to 10 points for every 63.64 units on Australia winning by any score. Obviously, one needs to take the listed odds.